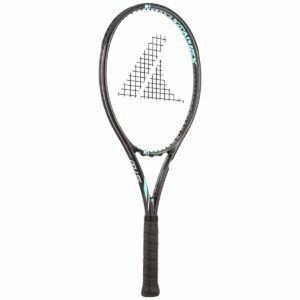 The Pro Kennex Ki Q+15 tennis racquet is ideal for players who are looking for comfort and manoeuvrability. Thanks to the small marbles in the frame, you will no longer feel any shocks and you can keep playing your favourite sport. 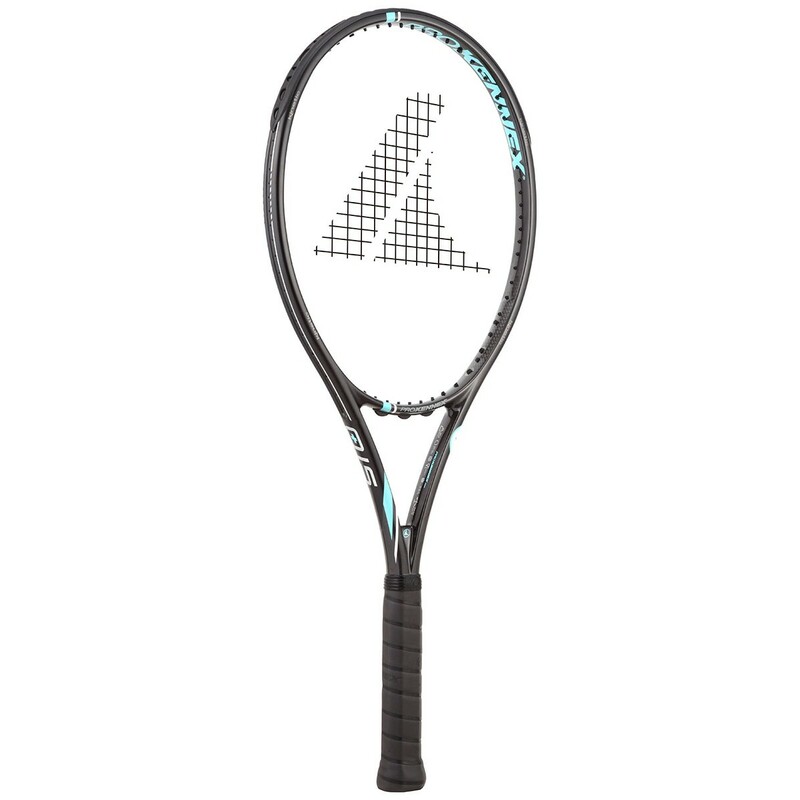 Choose this modern racquet today ! The 677cm² head size provides a trampoline effect to allow you to develop a maximum amount of energy on your shots. The bigger head size will permit you to hit powerful shots without having to force physically. The stiff frame (RA 74) and the thick beam (27mm) will deform very little when you are executing your shots and this will enable you to hit lively and fast shots! The balance of 32.5cm will allow you to easily accelerate the racquet head in order to take control of the point ! The 16×19 string pattern will be very versatile and improve your spin. This string pattern will make it easier for you to hit spin on your powerful shots. This will keep your shots in the court when you go for winners ! – Intermediate level players who are looking for comfort and power. – This racquet is particularly recommended for those who have tennis elbow. Kinetic Quadfocus : Kinetic marbles are added in the four corners of the racquet to absorb vibrations that are created when the ball comes in contact with the racquet. This will provide extra protection to your arm and prevent tennis elbow injuries.